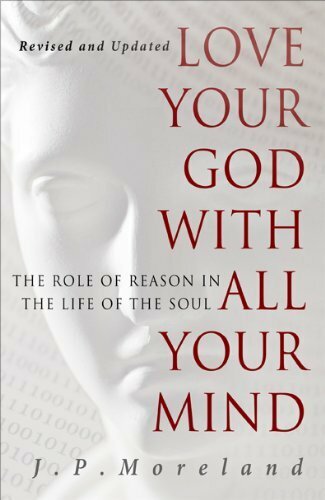 There are few books that have been more impactful on my Christian life than Love Your God with All Your Mind by J.P. Moreland. I also had the privilege of studying philosophy of religion and ethics under JP (along with the other excellent faculty at Talbot School of Theology / Biola University). He is one of the most thoughtful and encouraging people I have ever met and his passion for Christ is contagious. He has a message that every Christian desperately needs to hear. Moreland has recently released the 15th anniversary edition (the Amazon Kindle edition is only $2.99!) and the updated portions make a must read even more impressive. (About the Book) "Love Your God with All Your Mind explains the importance of using your mind not only to win others to Christ but also to experience personal spiritual growth. 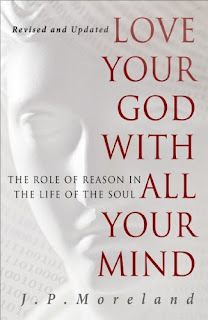 Author J. P. Moreland challenges you to use logic to further God’s kingdom through evangelism, apologetics, worship, and vocation. This revised edition includes expanded appendices and three new chapters that outline how to argue for the reality of God and the historicity of Jesus’ life teachings, death, and resurrection." Read this book and invite others to do the same. 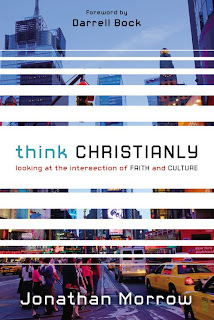 Christians are called to a thoughtful faith and there is no better book out there that models and teaches this as well. Buy. Read. and Grow! If only our political discourse looked and sounded more like this. I think we would all be better off. This 40 min lecture is an insightful analysis of where we are as a country and how to preserve liberty and order it as a society. Thanks to Eric Metaxas for making this available through Socrates in the City. Dr. Os Guinness: "A Free People's Suicide" from Socrates in the City on Vimeo. Claims of a married Jesus reinforce the need for apologetics. Read my new article at Leadership Journal Online. If Christianity is true, then it speaks to all of life. 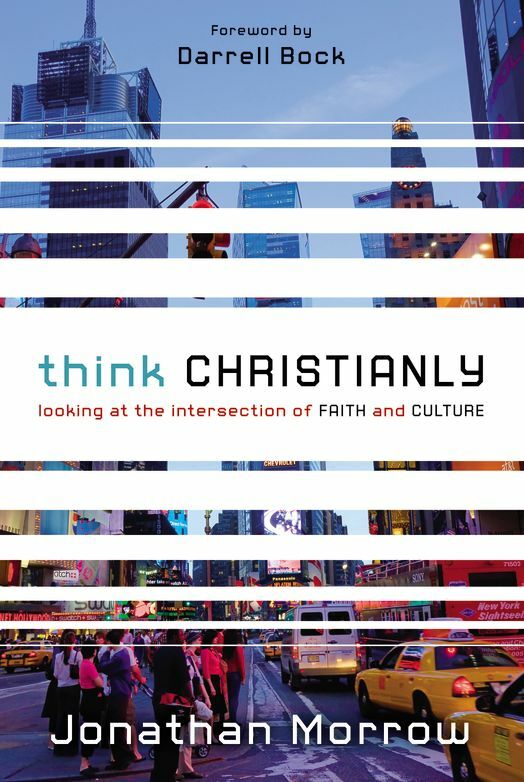 Learn how to live out your faith in the midst of the many cultural opportunities and challenges we face each day with my new book Think Christianly. For a limited time only, the eBook is only $3.99! (available on all devices). Please help spread the word below by sharing on Twitter, Facebook, Google+, and Pinterest! The Bible doesn’t make us choose between cultivating a thoughtful faith and demonstrating radical love. Why should the church? Over the past few centuries, science can be said to have gradually chipped away at the traditional grounds for believing in God. Much of what once seemed mysterious — the existence of humanity, the life-bearing perfection of Earth, the workings of the universe — can now be explained by biology, astronomy, physics and other domains of science. Although cosmic mysteries remain, Sean Carroll, a theoretical cosmologist at the California Institute of Technology, says there's good reason to think science will ultimately arrive at a complete understanding of the universe that leaves no grounds for God whatsoever. Carroll argues that God's sphere of influence has shrunk drastically in modern times, as physics and cosmology have expanded in their ability to explain the origin and evolution of the universe. "As we learn more about the universe, there's less and less need to look outside it for help," he told Life's Little Mysteries. The leading defender of the Cosmological Argument for God's existence is William Lane Craig, and he addresses some of the claims made by Carroll in this article, here. Looking for an accessible introduction to the evidence for God based on the beginning of the universe? Start here (chapter 5). Here's a common objection you may have encountered: Isn’t apologetics only for academics and intellectuals? The short answer is no. Here’s why. Everyone has questions—you do, your kids do, your friends and neighbors do, your family does, and our culture certainly does. It’s that simple. We will either think carefully or poorly about these questions, but the questions themselves cannot be avoided. Secondly, if Christianity is true, then it speaks to all of life. It doesn't get more 'everyday' than that (1 Pet. 3:15). So How Does Culture Work? More on how Christians should engage culture.